Collects Spider-Man/Deadpool #23-28. 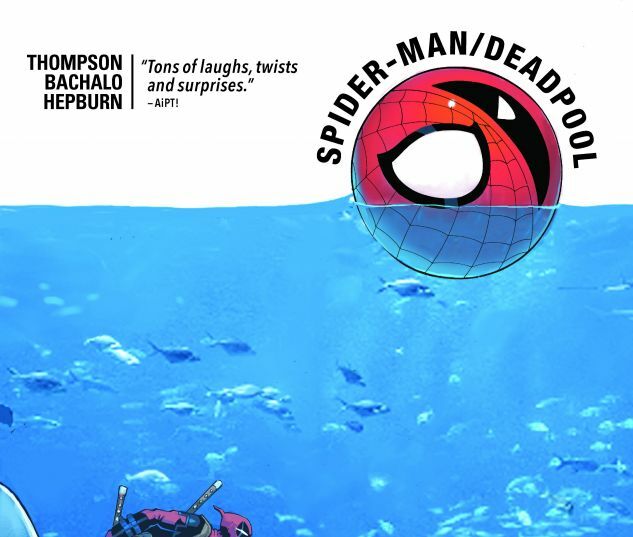 Team-up time is over — it’s Spider-Man vs. Deadpool! 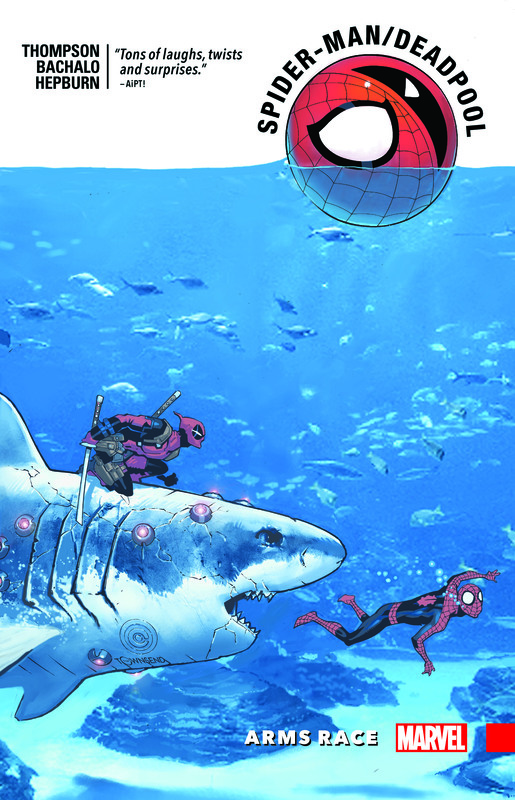 When Spidey learns that Wade is selling S.H.I.E.L.D. tech on the black market, it’s the last straw — bromance no more. The two biggest characters in comics are throwing down, no holds barred. The battle takes them all over the Marvel Universe — and climaxes in a face-off with the Chameleon! He’s upped his game from petty crook to one of the world’s most terrifying super villains. Spidey and Deadpool will do their darnedest to take him down, but it’s hard to punch someone when he could look like anyone! 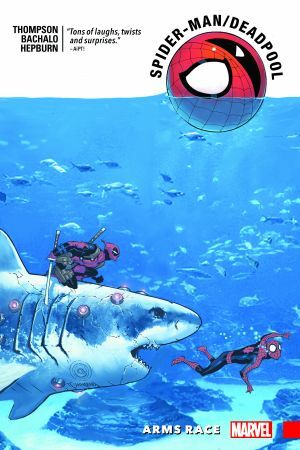 Can our dysfunctional duo seize their last chance to stop him (and Deadpool’s last chance to steal his stash out from under him) before something is unleashed that will haunt our heroes for years to come?